With a good weather forecast for the day I decided to head out and visit a couple of sites, in the company of my father. Allerthorpe Common was our first stop in the hope of photographing some Adders Vipera berus. Though we did see one small Adder V. berus, I didn’t manage to obtain a photograph on this occasion. 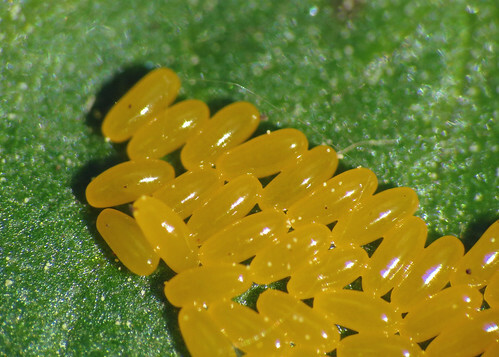 In my voluntary role as VC61 Recorder for the British Dragonfly Society my main focus was to record the species present, and now we are well into the season, this group of invertebrates will strongly feature in my blogs. 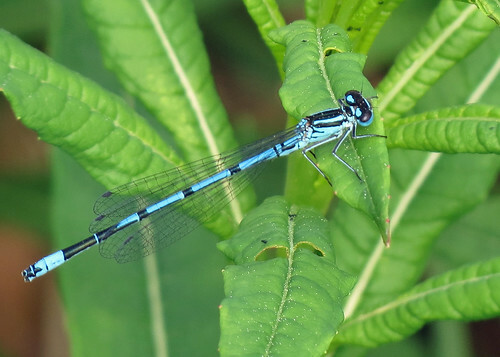 Several blue individuals were seen around the Common, all turning out to be Azure Damselflies Coenagrion puella. 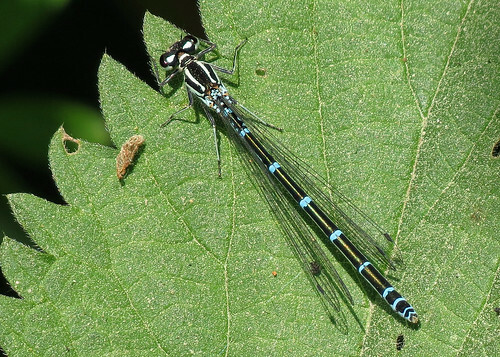 In addition Large Red Damselflies Pyrrhosoma nymphula were present, along with a few Four-spotted Chaser Libellula quadrimaculata. Butterfly wise Brimstones Gonepteryx rhamni were very much in evidence, and very active, only a lone female settling to nectar. 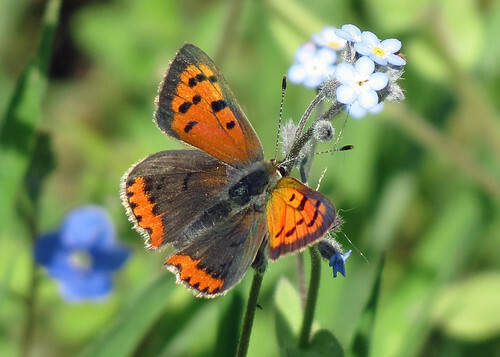 There were also good numbers of Small Copper Lycaena phlaeas around the site, especially along the main track from Low Moor car park. A couple of scrappy looking Peacocks Inachis io were still hanging on, we will have to wait for the next generation to emerge to see these in pristine condition again. 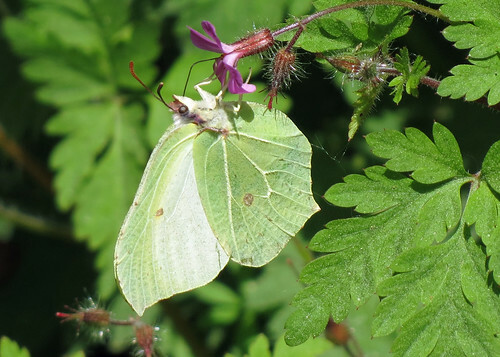 A single Large White Pieris brassicae was the only other species observed, so it looks like the first generation of Green-veined Whites Pieris napi has come to a close, at least at this site. Lastly it was nice to see a Wall Brown Lasiommata megera, a species that is in serious decline, with numbers plummeting further south, and for no apparent reason! 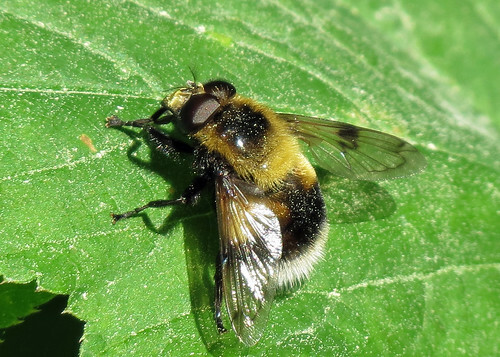 My interest in Hoverflies continues to develop, and it was nice to see my first Volucella bombylans of the year, this being one of our bumble-bee mimics. 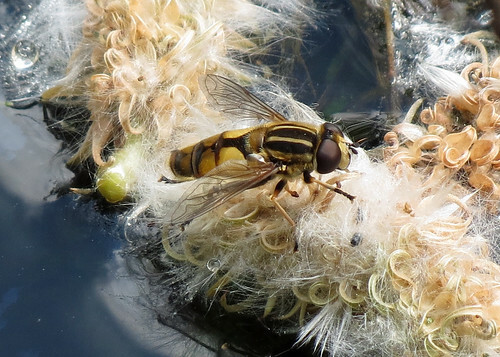 Around one of the small ponds were a couple of male Helophilus hybridus, offering my first opportunity to photograph this species. 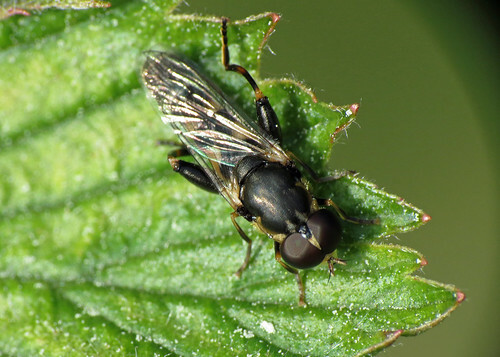 Another potential new species for me was Syritta pipiens, though this remains unconfirmed. 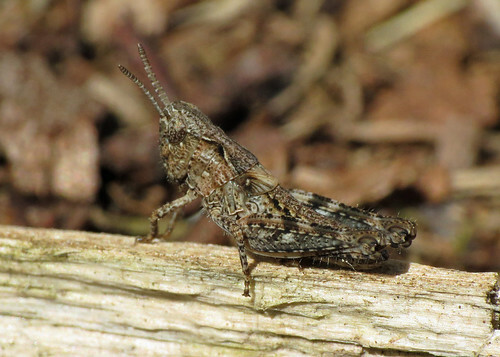 Whilst looking for the hoverflies I found what I initially thought was a groundhopper, however this turned out to be a nymph of the Field Grasshopper Chorthippus brunneus. As we started to leave the site, a number of colourful beetle species attracted our attention, offering the chance to really use the macro lens to its full advantage. 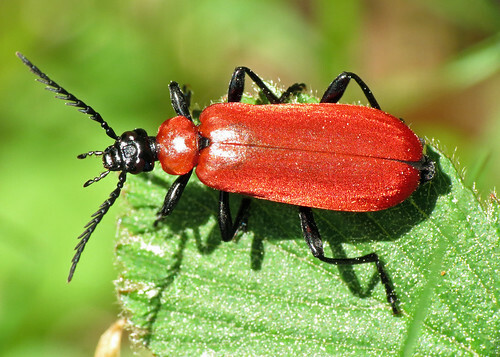 The first was Cardinal Beetle Pyrochroa coccinea, followed by Wasp Beetle Clytus arietis. 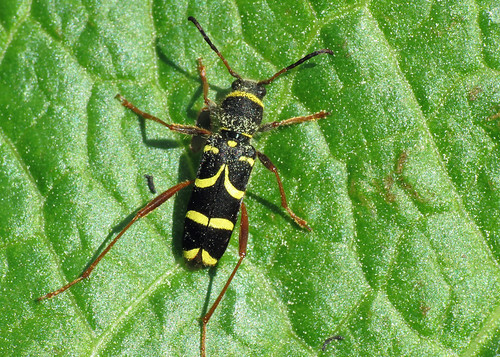 Whilst photographing the Wasp Beetle C. arietis we suddenly notice several green coloured beetles on the dock leaves. 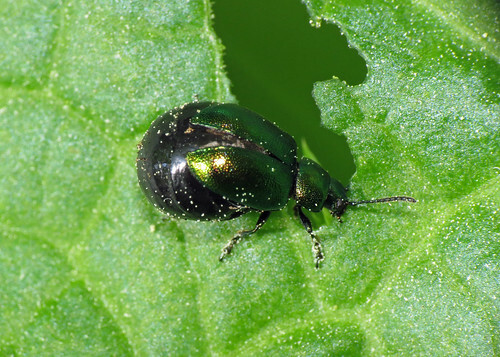 These turned out to be Green Dock Beetle Gastrophysa viridula, and as well as the adults there were several clusters of eggs. 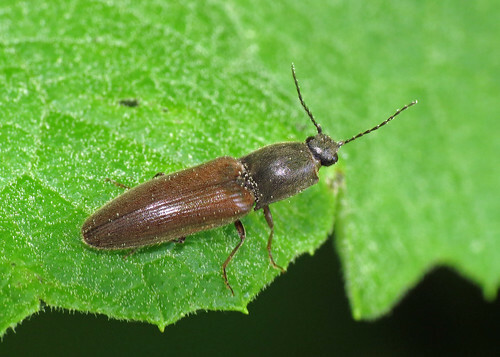 Lastly a Click Beetle species, difficult to identify down to species level. Certainly an interesting morning, hopefully Broomfleet would be just as interesting in the afternoon.